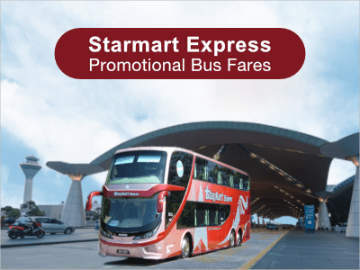 [1 September, 2016] MyExpressBus.com now partners with CatchThatBus.com to offer up to 10% off on bus trips in Malaysia and Singapore. For limited period, or until seats sell out, please use the the promo code "MXB" at the payment page to apply for the discount. CatchThatBus.com is a Malaysia-based bas ticketing platform founded in 2012. 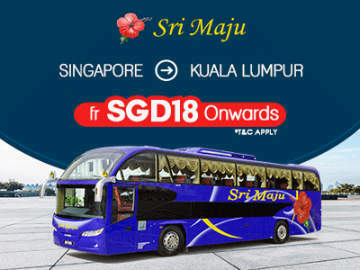 It operates over 700 routes in Malaysia and Singapore. 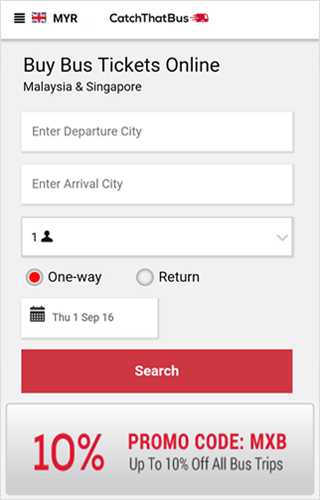 Travellers can book cross-country trips between both countries and within Malaysia through a website or its iOS, Android and Windows apps.